On Thursday, October 30, T.J. Clark will give a lecture at the Stedelijk Museum as part of the series Aesthetics of Crisis, alongside artists Zachary Formwalt and Alice Creischer & Andreas Siekmann. This third and final part of Aesthetics of Crisis is dedicated the subject of labour; previous installments were on “finance” (with Brian Holmes and Beate Geissler/Oliver Sann) and “time: (With VAMA’s Sven Lütticken and Raqs Media Collective). The series is organized by the University of Amsterdam’s Johan Hartle with the Stedelijk’s Public Programme department. On Friday, November 31 at 10 AM, Johan Hartle and Sven Lütticken will host a special UvA/VU University seminar with T.J. Clark. 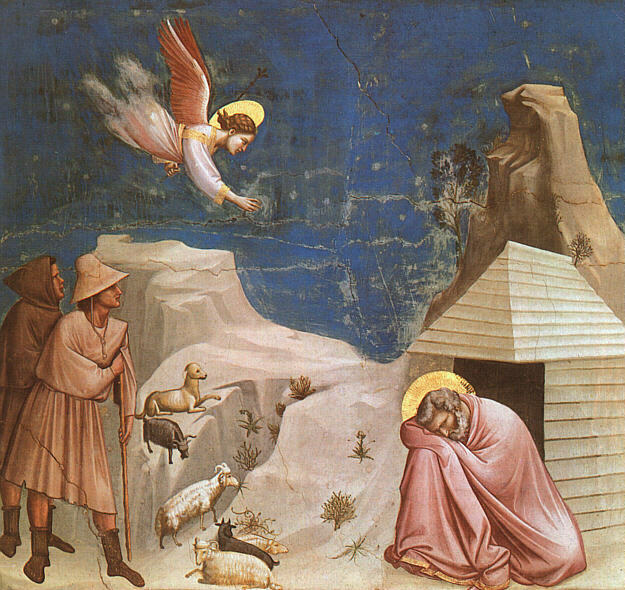 During this session, the eminent art historian will discuss a new text on Giotto’s painting Joachim’s Dream with the participants. And then, on November 4, we proceed with that other art-historical T.J.